SOLYX® Residential Window Tint Films have been painstakingly designed to the highest specifications through years of research, creative exploration and a deep understanding of our clients’ needs. SOLYX® Residential Window Films are the best way to add privacy to your home's windows while also protecting your home from heat and preventing faded furnishings. Our Residential Window Films are the perfect solution for maintaining both light transmission and privacy in tricky bathroom windows. Don't cover your bathroom windows with heavy drapes or problematic mini-blinds; let the light in with our 500+ unique window film styles. 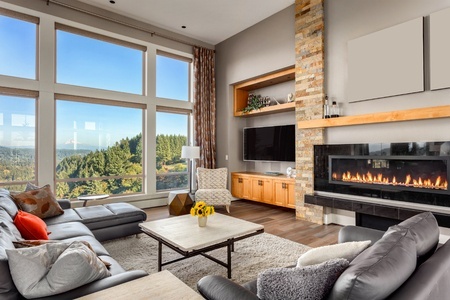 Easily add coverage to Bedroom or Living Room windows without sacrificing your views using our Ultra Series line of Residential Window Tinting solutions. Stylishly cover tricky sidelights with our Frosted Glass Films or Stained Glass films at a fraction of the cost of traditional decorative glass. SOLYX® Residential Window Films are constructed from the highest quality state of the art materials and are an innovative approach to preserving your home's interiors as well as maintaining your family's privacy and security.